Adam health and fitness scales combine durable construction and simple operation. They are designed for use in physicians' and pediatricians' offices, hospitals, clinics, nursing homes, rehab centers, medical laboratories, schools, fitness facilities and gyms. Easy to use, Adam's health and fitness scales are suitable for a variety of tasks, including weighing, body mass index (BMI) calculation, ultrasonic and mechanical height assessment, blood bag measurement, food portioning for weight control, and measuring ingredients for herbal tonics, tinctures, bulk compounds and nutritional supplements. Portable health and fitness scales are equipped with wheels, allowing the scales to be moved to different locations within the facility. Adam's baby and toddler scales are easy to clean and versatile, offering quick start-up and simple operation. Displays are large and easy to read, minimizing errors. The elegant MUW ultrasonic scale calculates height, weight and BMI, with results displayed on the backlit LCD. 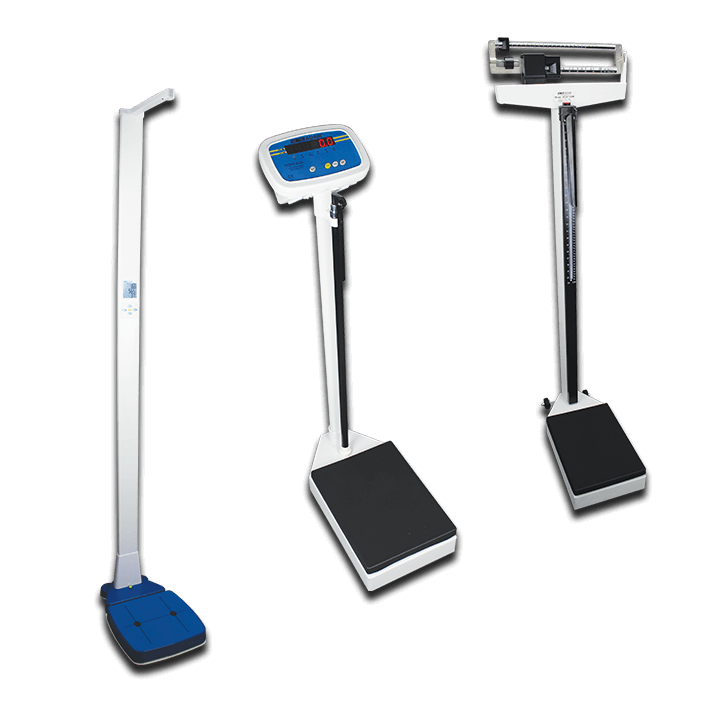 Durable and affordable, the MDW mechanical scale simplifies height and weight measurement in healthcare or fitness facilities. The notched counter weight quickly provides precise results, and sturdy wheels make the scale easy to transport. With a modern design and solid construction, MDW digital scales offer affordable precision for healthcare and fitness facilities.